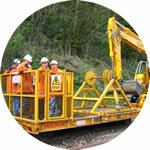 A full range of GOS manufactured attachments is available, some of which are pictured below. Ballast box. 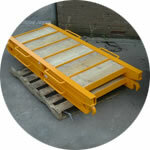 Designed to fit Philmor T5000 Series trail trailers. 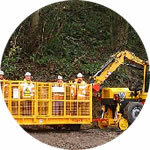 Capacity up to 14 cubic metres. Available with standard twist lock fittings. A full size Philmor personnel carrier. Philmor Personnel Carrying Attachment ( PCA). Available in full and ¼ trailer versions. 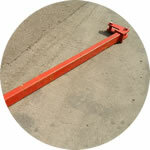 Specifically designed to fit Philmor T5000 Series Rail trailers. 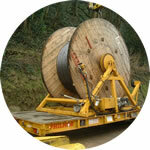 Braked cable drum decoiler. Versions available up to 12 tonnes capacity. Drum power drive option available. 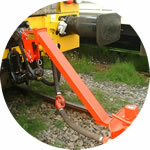 Trailer end showing Jost coupling and emergency tow bar. 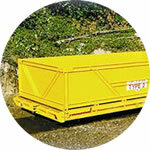 Other trailer accessories available, including loading ramps, low height boxes. 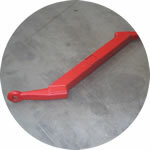 Apart from the standard straight drawbar supplied as standard with Philmor trailers there are also other “specials” available, including emergency type, and Z/swan necks types.